Habitat selects partner families based on income, satisfactory credit, need and willingness to partner with us for the construction and maintenance of their Habitat home. The Habitat home is sold to our partner family with a low or no-interest, affordable loan. Payments made by the homeowners are placed in a revolving fund to help Habitat for Humanity serve others in need. Their current housing is substandard, does not meet their needs, or they would otherwise be unable to purchase a home. Must be citizens of the United States. 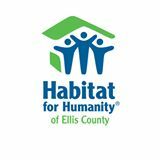 Interested in applying for a Habitat house? Click below to download and print a pre-application. Did you receive an acceptance letter from us? ​ Click below to print out the complete homeowner application. Mail all applications and supporting documents to the address listed below.